Toronto is covered in red carpets this week for the Toronto International Film Festival. Red carpet dressing is such a business exchange these days, that I’ve lost interest in watching the transactions. I will, however, make an exception for Sabya. Just reached Toronto. Premiere in two hours. Need to scrub up and wear a nice dress fast! What a difference a couple of hours – and a little Kolkata couture make. 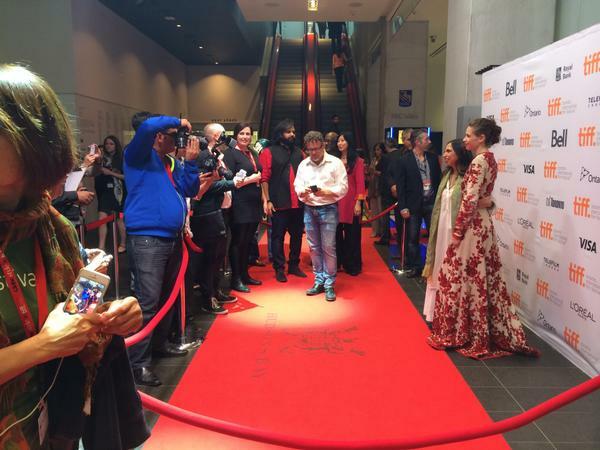 Kalki Koechlin in red and white Sabyasachi, in Toronto. A detail of the dress during the India Couture Week presentation in July. 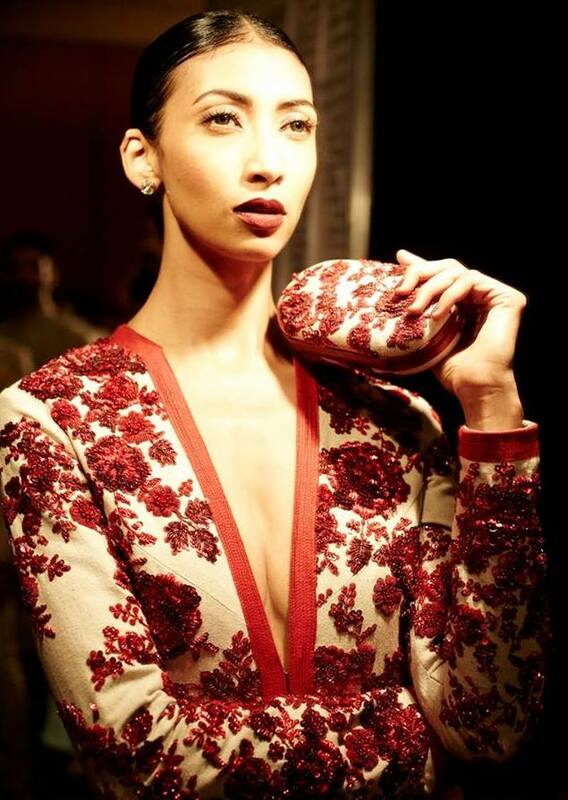 With this extraordinary Sabyasachi dress, Kalki not only gave Indian couture the respect it deserves, but paid homage to Canada, too with the selection of a red and white piece from Mukherjee’s recently shown Firozabad collection. Each dress deserves its own post. I’ll have more favourites from that collection soon. Wait until you see the men’s wear. Wedding; wide shot of collection via Shree Raj Mahal Jewellers.